Imagine the sea glistening like diamonds dancing in the sunlight, the road carving through the mountains ahead, the sweet summer smell of forest pines, and of course, your ultimate girl (or boy/girl) gang cycling beside you. 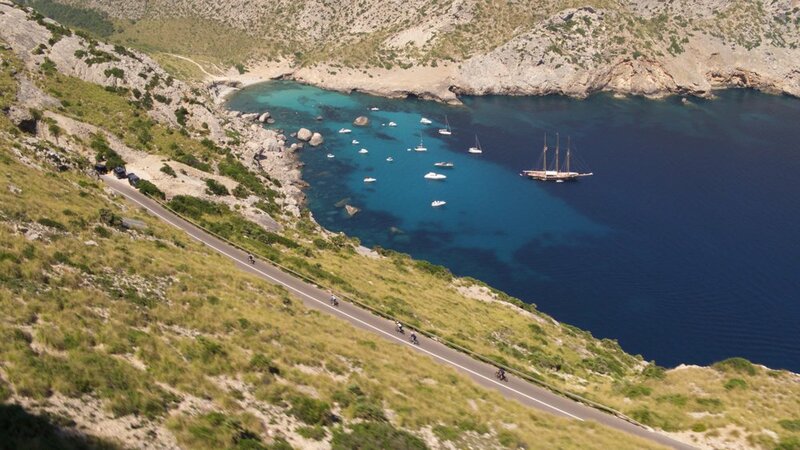 Welcome to Mallorca – possibly the best cycling destination on the planet! 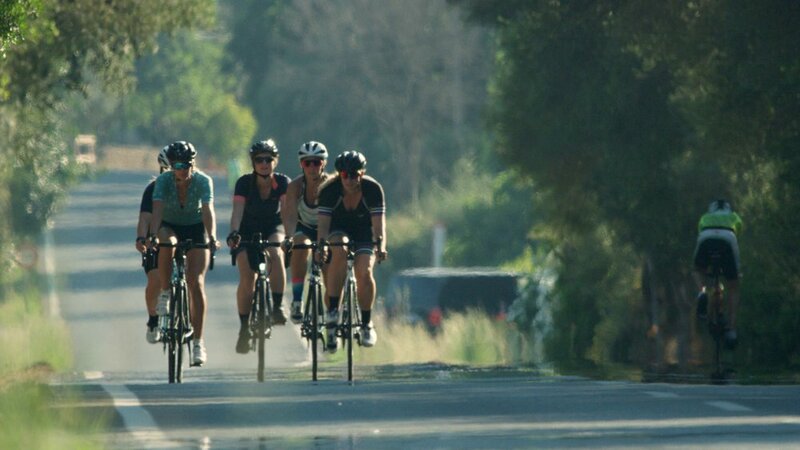 Cycling Mallorca with the Girl Gang! After a hassle-free two hour flight from London to Palma, the first thing you notice is the wall of heat that we associate with going on holiday! I used to love beach holidays; spending hours playing games on the beach, working on my tan, swimming in the sea and deciding which ice cream to eat. Watermelon ice cream - it’s a thing! Yet, over the last ten years my life has gone through a complete transformation. Don’t get me wrong, I still love lying on the beach, I just prefer to do it after I’ve tired myself out being active and adventurous. That way when I kick back and relax with a drink in hand, I feel like I’ve really earned it! 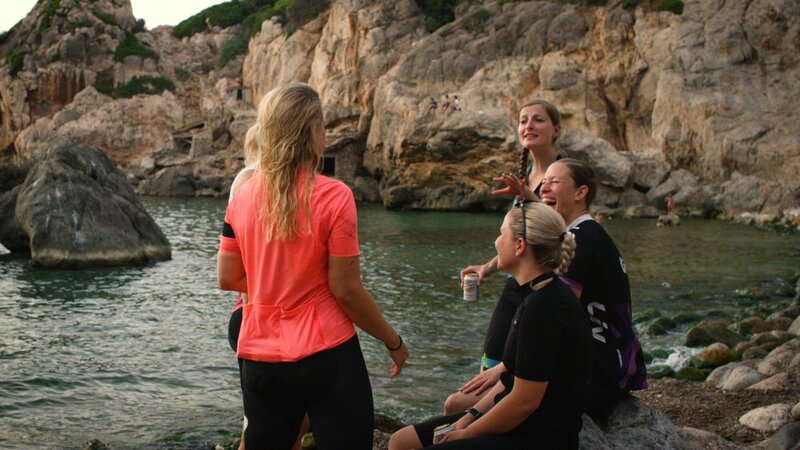 This blog is in partnership with Thomas Cook Airlines, who invited myself and four ladies to spend a few days exploring Mallorca with our bikes, with the aim of inspiring you to consider it for your next active holiday destination. 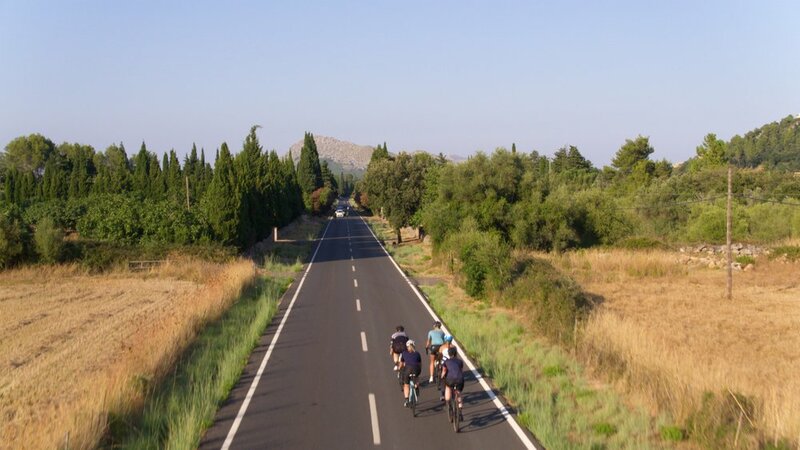 Included in this blog are details on how to get there, where to stay, why I love Mallorca and the best cycling routes. Enjoy! Direct flights from the UK’s major airports. 2 hours from London to Palma and it’s a 10 minute drive from the airport to the centre of Palma. Travelling with bikes is not complicated. You need to buy or borrow a bike box or bag and book your bike onto the plane as additional sports luggage. I use the Scion Areocomfort Travel Bag because it’s super simple to load and unload your bike. You don’t need to dismantle the whole bike, just remove the wheels. Sunset swim with the girls in Palma after a long, sweaty day on the bikes! Palma is an obvious choice but it’s a city so it depends what you’re looking for. For something more traditional and away from the tourist crowds, check out Deia, Soller and Pollensa. If you really want to hideaway, hire a villa or airbnb in the mountains! It’s genuinely amazing all year round, but with temperatures reaching the high 30s in July and August, the best time to go is spring, winter and Autumn. Less people, cooler and a real treat to escape the British winter. The variety of the island; it’s not all golden sandy beaches and beautiful sea! Bike and Bike bag unless you want to hire there. I ride a Cannondale Super Six Evo and pack my bike in the Scicon Areocomfort Road Travel Bag. I wore cycling kit from Rapha and amazing women’s specific cycling brand Kandescent - I’m obsessed! My ARO5 helmet and Flight Jacket sunglasses are from Oakley and I people seem to love my Ridge Supply socks! 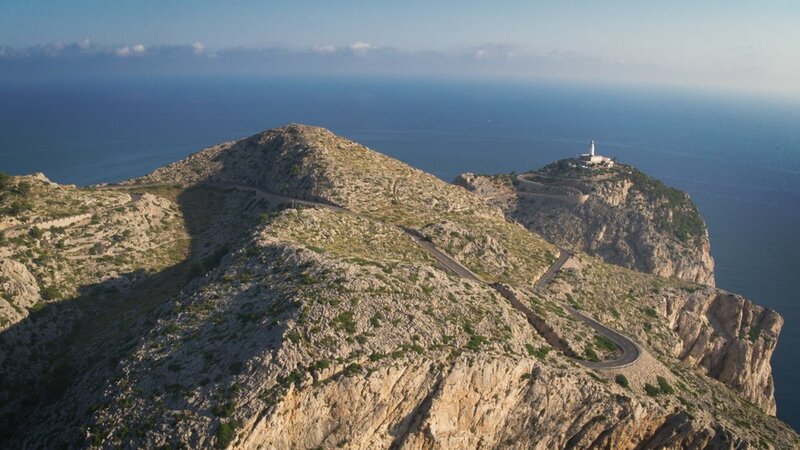 Cap de Formentor or 'lighthouse road' as it's affectionally called by cyclists and tourists alike, is big, challenging and will take your breath away. This is a short and challenging ride that takes you from your hotel in Port de Pollensa to Cap de Formentor on Mallorca's northern tip. 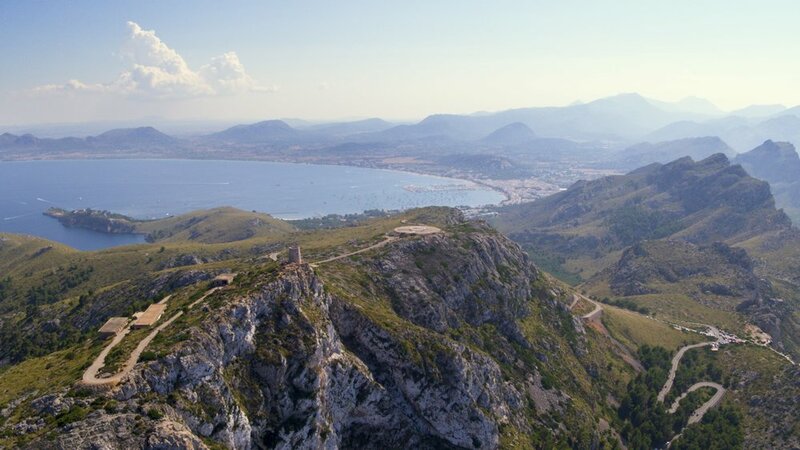 Mirador de la Creueta or El Colonel is one of the most famous spots in Mallorca for both cyclists and tourists. Once at the top you can enjoy the spectacular scenery from a cliff 230m high. It is located on PM-221 road, which will take you from Puerto Pollensa to the famous Lighthouse of Cap de Formentor, the northern tip of the island. Puerto Pollensa, also known as Port de Pollenca, is a quiet small town in the north of Mallorca. It is a favorite spot for many cyclists not only because it is perfectly situated at the foot of Serra de Tramuntana and offers quick access to the climbs, but also because it still has this tranquil atmosphere of a fishing village and a beautiful bay. This cheeky category 3 climb, with just under 170m of total elevation in 3.1km often catches by surprise cyclists on their way to Sa Calobra. The climb to Lluc seems like a warm up as the anticipation of something a bit more challenging approaches and energy conservation is essential so this is no time for attacking. After Lluc the road undulates but continues to climb until you reach the final climb to the Coll dels Reis. Although only a Category 3, with an average gradient of around 5%, the Puig Major (rom Panta de Gorg Blau climb has a few steep corners. Almost 250 meters of elevation to reach 850m above sea level at the tunnel where the climb ends. It is followed by a long and somewhat technical descent, so make sure you keep an eye on the road while enjoying the views. 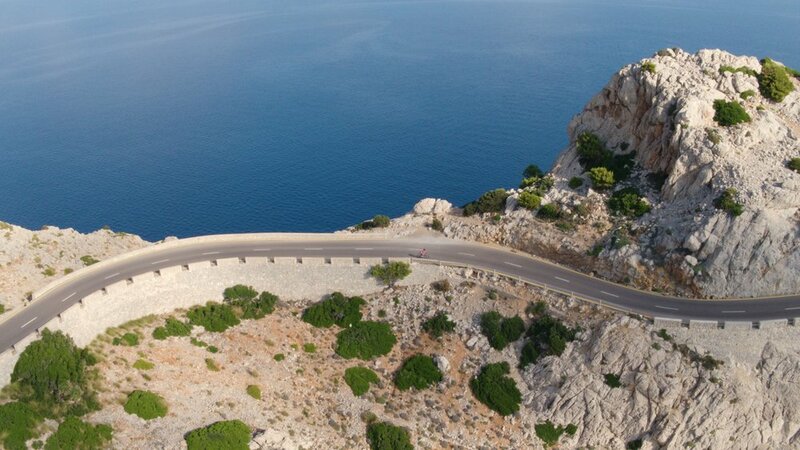 The Sa Calobra road balances beauty with brawn. It’s one of the most picturesque routes in Europe, but it demands serious mental toughness since you have to ride all the way down it before you ride up it. Once you see the aqueduct spanning the road (with coffee shop underneath) you’re nearly there - but keep going! You’re not at the top of the Sa Calobra yet. The start of the descent is at the summit of the Coll dels Reis, 2.5km away (with an average gradient of 6%), where the road goes between two rock walls. Starting and finishing in Port de Soller this ride has a half way point in Cala Deia where you have the chance to stop for lunch, a snack or even a dip in the sea to cool off. It’s my fave place on the island!